Newly renovated standard rooms with Split A/C. This is an on budget room which can be occupied business class guests and has single or double bed. Complete breakfast with 3 fruits, 3 Juices, Tea, Coffee, Hot & Cold Milk, Sandwich, Toast, Boiled Egg, Fried Egg, South Indian & North Indian Dishes. 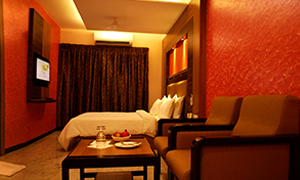 Newly renovated spacious rooms with centralized A/C and double seating capacity. 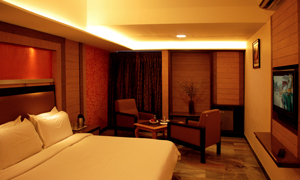 This is a room which can be accommodated by a corporate person or a family as 2+1. Pamper yourself at the executive club lounge with its unparalleled first-class experience in all of our Super Classic Rooms. Complete breakfast with 3 fruits, 3 Juices, Tea, Coffee, Hot & Cold Milk, Sandwich, Toast, Boiled Egg, Fried Egg, South Indian & North Indian Dishes. 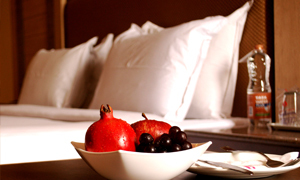 Our Presidential suite is the lap of luxury with large space, separate living area and private bed rooms. Pamper yourself at the executive club lounge with its unparalleled first-class experience in all our Royal Suite Rooms. This room has separate dining space, 3 dimensional dressing space & laptop / writing space extra. We have implemented see through glasses for both the rooms and this concept is used first time in madurai. Complete breakfast with 3 fruits, 3 Juices, Tea, Coffee, Hot & Cold Milk, Sandwich, Toast, Boiled Egg, Fried Egg, South Indian & North Indian Dishes.